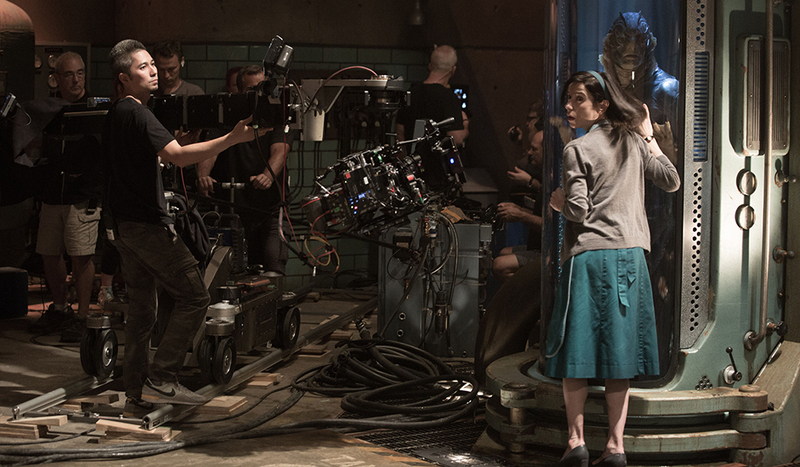 The Art Department is often the largest film crew. Hundreds of employees make up several divisions, including Art, Sets, Construction, and Property. Let’s take a closer look. The art department is responsible for visual aspects of filmmaking. This includes everything on a set, as well as the set itself. The department is supervised by the Production Designer. Throughout filming, sets must evolve. Either they are adjusted, or new sets are constantly built. Many members of the art department are on standby, in case any changes must be made. The positions are incredibly creative and require immense amount of skill and attention to detail. Here is a breakdown of the art department and the duties of each member. 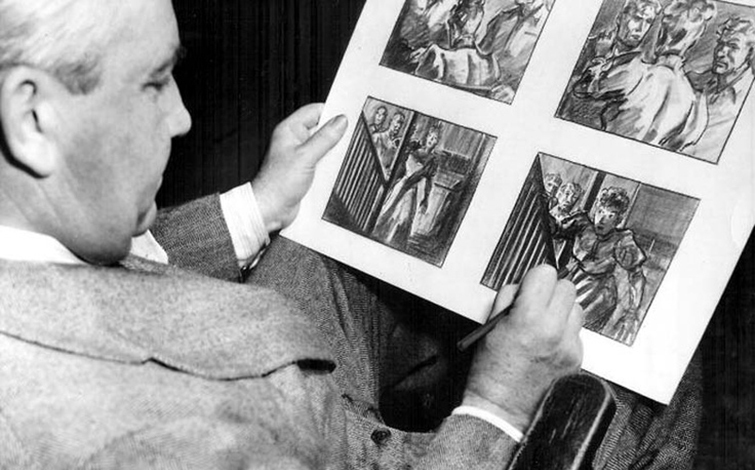 The term production designer was created by William Cameron Menzies. At the time, Menzies (featured below) was working as the art director on the set of Gone with the Wind. He coined the term due to the film’s massive scope. The production designer is responsible for the entire visual appearance of the film. To achieve the overall look, they will coordinate with the art department, costume department, makeup department, and more. They not only work closely with the director to bring his vision to life, they also work with the producer to calculate the needed budget. The cost will depend on the type of film, whether the art department has to achieve a modern style set, a fantasy castle, or a sci-fi space ship. Depending on the production, a production designer may even be hired well before a director. They will look at scripts to estimate the cost needed to bring the story to life. Once a director is in place, they will collaborate on how to best shoot the film. They will either decide to build sets, use visual effects, or shoot on location. Once decided, the production designer will deliver sketches and outlines to the art director, who in turn delivers their work to the construction department. The final sets built by the construction department will then help set decorators and prop buyers determine their needs for the film. The overall art department includes a sub-department also called the art department. This department includes the preliminary designers who will plan the overall look of the film. The art director reports directly to the production designer. They oversee the artists and designers who help create the overall look of the film. It is their job to supervise the planning and practical design of sets and set pieces. 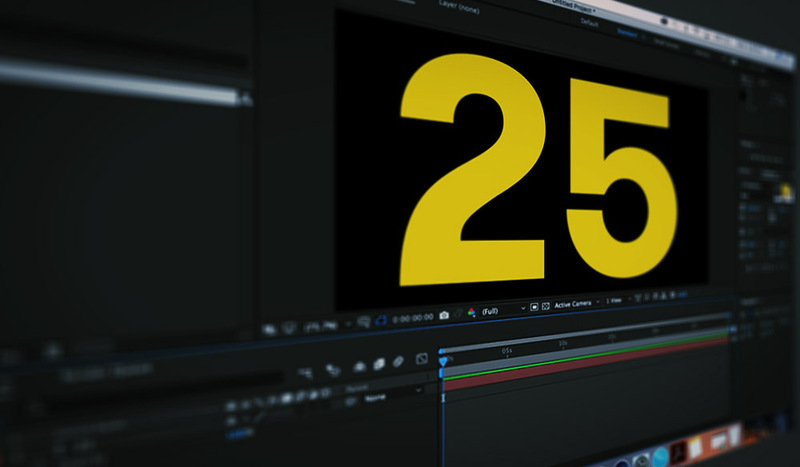 On large-budget projects, there may be multiple art directors. If so, the main position will be the Supervising Art Director of Senior Art Director. On smaller projects, the job of the production designer and art director are typically combined. The art director will analyze a script to make note of all necessary props and special set pieces that may require an extended time to design, build, or acquire. They will also oversee the creation of all necessary plans that will be given to the construction department. They are also responsible for the maintenance of sets, making sure any rebuilds or changes are made on schedule. The will manage the creation, dressing, and striking of all sets and locations. The assistant art directors are responsible for carrying out the art director’s plans, including measuring locations and other necessary information the production designer needs. They are also responsible for researching and making props, assisting with model making, and surveying sites. 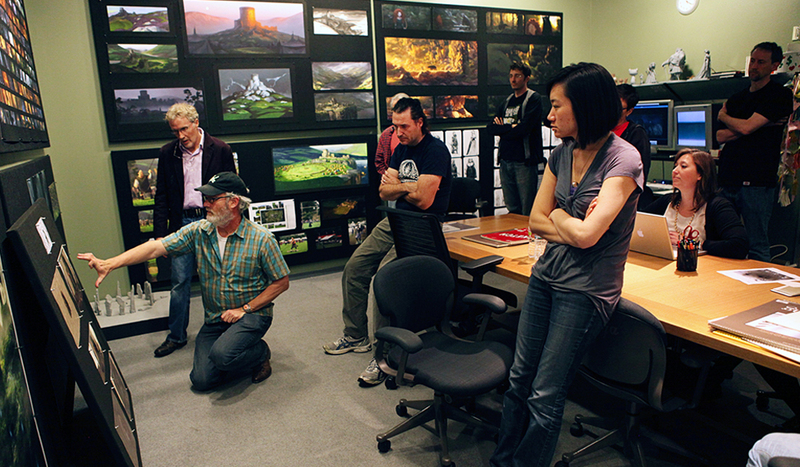 On larger productions, assistant art directors will manage the smaller locations or sets. This is an art director that monitors the art department during filming. If there isn’t a standby art director, the responsibilities fall to the props master and on-set dresser. They will watch the video playback monitor to make sure all set pieces appear as needed. They will coordinate with standby painters and standby carpenters if any last minute changes are needed on set during filming. Draughtsmen are responsible for the technical drawings of sets. Their drawings, computer models, and physical models will include all measurements and materials needed for construction. On many sets, a draughtsman in usually the first assistant art director. A concept artist works on a specific set piece. This includes the design of creatures and monsters to the look of a space ship. This position creates physical graphic elements for a set. A graphic artist will create newspapers, posters, fliers, contracts, logos, signs, etc. These artists will turn a screenplay into a set of detailed illustrations. 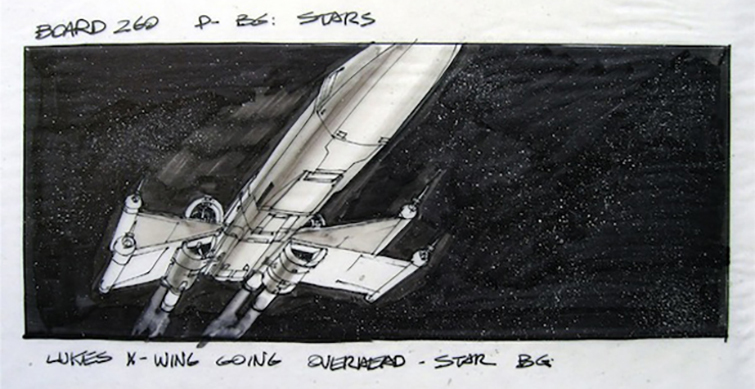 Storyboard artists will create storyboards, which the production team uses to plan out every shot. These visualizations are often created well before shooting begins. The storyboard will show the entire film from the point of view of the camera. 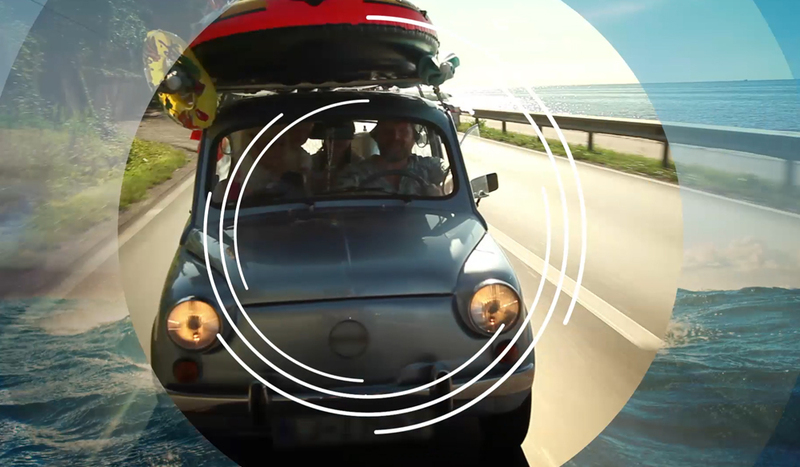 It will show camera angles, a character’s actions and position, as well as all other major elements needed for a shot. They will also list any necessary movements on screen, like a character jumping or an object falling. When a draughtsman requires a specific model, it is the model maker’s job to draw and then construct the miniatures. They can use a range of materials to create the models, including clay, wood, metal, plaster, and plastic. With the large amount of employees in this department, the art department coordinator is responsible for monitoring daily operations. They will work among the various departments to verify that all sets and props are ready on time. The will also manage the departments budget, and schedule the sets construction, dress, and strike. The art department coordinator will also create location notes. These detail everything from details of construction, needed set dressing, and props. They will use these notes to gain licenses and permission for location shoots, as well as verifying health a safety protocols are met. The set decorator is responsible for decorating a film set. This includes furniture, drapes, fixtures, paintings, and overall decor. They are also responsible for dressing props, which includes everything from cars and animals to dishes and household items. Set decorators also work with product placement and acquiring approval to use copyrighted items. 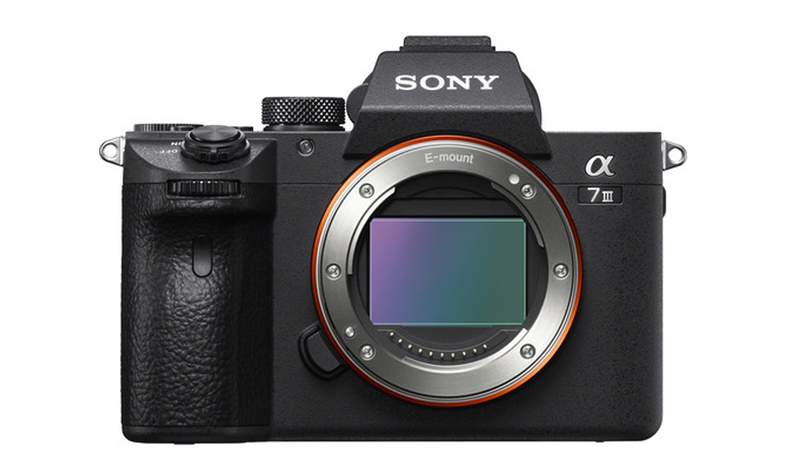 Prior to a shoot, they will photograph all items and assign them to each set. On set, they will manage the swing gang and place everything in the appropriate place. After the shoot, they will make sure the set is broken down and that everything is returned to the responsible rent house. The leadsman or lead man is in charge of the set dressers. They direct the crew that places all the furniture, drapes, and dressing props on set. Set dressers (also called the swing gang) place and remove all dressing props. They are responsible for practically everything on the set: furniture, rugs, drapes, lamps, decor, doorknobs, etc. Swing gang is most often used referring to the on-set dressers, those making any last minute changes prior to cameras rolling. Any parts of the set that are not permanent are referred to as the swing set. These are items that can be move around on set or easily removed if they don’t work for the overall look of the shot. The buyer is the one responsible for purchasing or renting set dressing. They work with stores or rent houses to schedule deliveries and purchase any necessary dressing props. A greensman is a set dresser that is specialized in landscape and plants – greens. This includes real and artificial plant life. 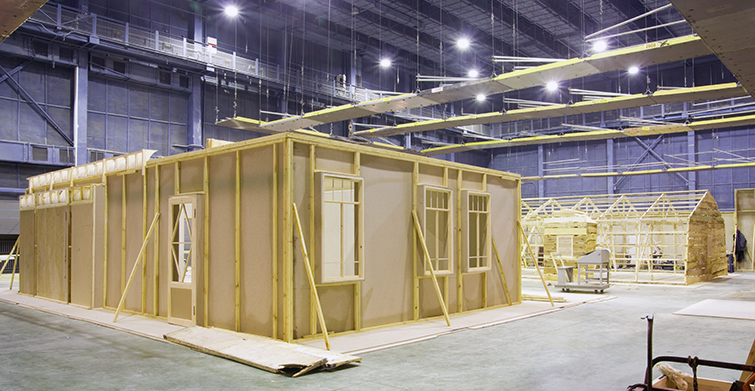 The construction department is responsible for building the actual structures that make up the set. Framing walls, doors, or constructing entire buildings. The construction coordinator oversees the entire construction department. They order all construction materials, schedule workers, and supervise the actual building of the sets. The foreman of the carpenters and laborers. Carpenters are the expert wood workers on set. The build, install, and remove wooden structures. The not only construct the actual physical set, they also make any wooden props and furniture. This artist is responsible for surface treatments. The key scenic can paint wood to give it an aged or distressed look. They also make props look more realistic, like painting foam to look like a rock or brick. They can also paint a window to look like stained glass. A painter is responsible for the final appearance of a set. The are responsible for all surface preparation, priming, painting, and finishing. The can also apply special finishes, like marbling or graining to sets. These artists apply plaster to walls, ceilings, and floors. They also create moulds for interior and exterior walls, or use fiberglass to create intricate panels – like a spaceship. 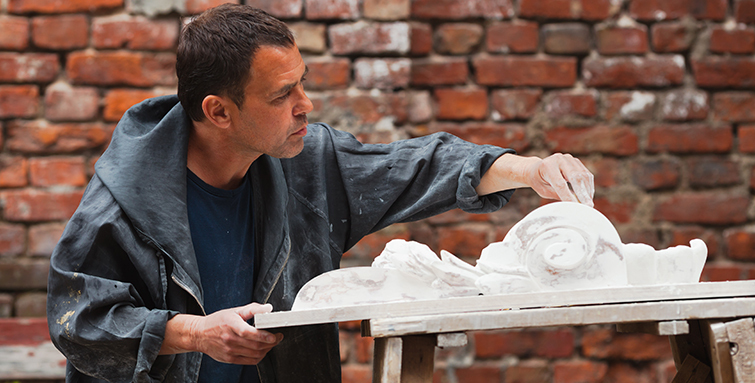 Sculptors typically create large set pieces like busts, statues, or elaborate miniatures. They use an array of materials, such as foam, clay, metal, and wood. The property department, or Props, is responsible for all practical movie props. These are not including in the set dressing or costume department, but rather used by an actor in a scene. This includes food, firearms, swords, or specific items like a proton pack or custom vehicle. As the chief of the property department, the props master is in charge of finding or making practical props. If the film is a period piece, they are responsible for making sure that the props are accurate to that era. The artist or technician that creates custom props. This can includes creating any type of casings, or wiring electronics to make a functioning prop. This prop manager is in charge of all firearms, swords, or other weapons. They are also trained and licensed to use the weapons, and will often collaborate with the stunt manager and actor to maintain set safety. Enjoying these breakdowns of the various film departments? Want more? Let us know in the comments below.